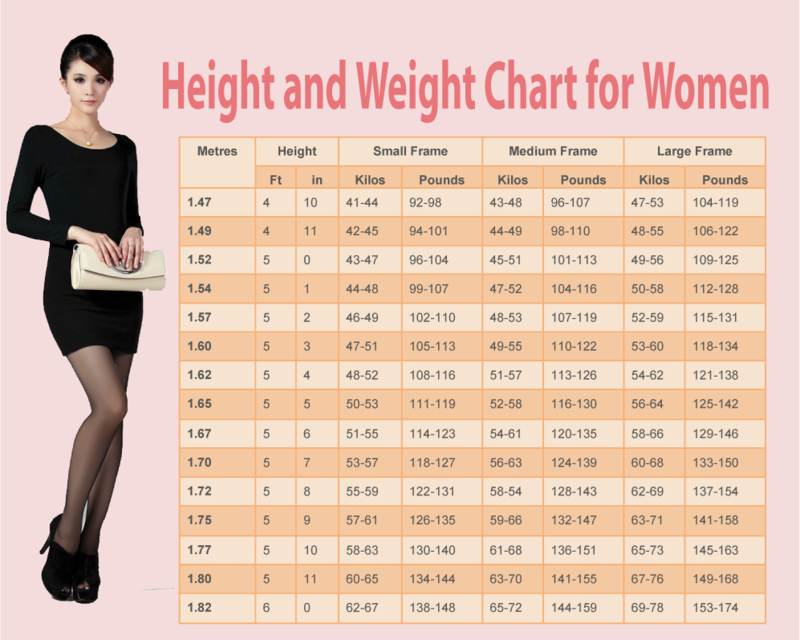 Weight Chart For Women: What is your ideal weight according to your body shape, height and age ? There’s a big difference between desired and ideal weight. Whereas desired weight can often be unhealthy, ideal weight is how much your body needs to weigh for optimal function. This only sheds new light on the latest trends which promote excessive weight loss, which is not necessarily the best option for a healthy body. While on one side excessive weight incurs the risk of obesity and all the accompanying conditions, including hypertension, diabetes, heart problems etc., on the other hand excessive weight loss is no less dangerous. After all, it seems that the rule of the “golden middle” is the best option you can get. Although there are numerous charts and calculators to give you your ideal weight, this one has been specially designed by doctors and specialists. Plus, it’s really comprehensive as it includes several parameters, such as your body shape, age and height, to give you the ideal body weight. Best of all, this chart does not support or even promote unhealthy body proportions, but tells you how much you should weigh according to your specific proportions and age.